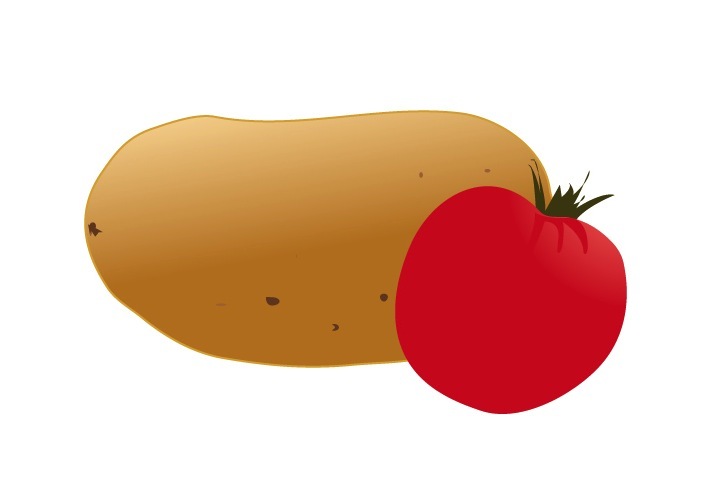 The U.S. Department of Agriculture, finds that potatoes now make up 30% of the vegetables grown and processed for Americans each year, while tomatoes make up 22%. A diet highly focused on potatoes, especially, can be harmful said White, who is assistant clinical professor of athletic training at Quinnipiac University in Hamden, Conn. “If the majority of potato consumption comes from processed sources like French fries and potato chips, they may be doing more harm than good,” she said. The new data, from the USDA’s Economic Research Service, seems to bear that out. White potatoes accounted for about 115 pounds of the 384 pounds per person of vegetables and legumes eaten by the average American in 2013. However, two-thirds of those potatoes were used for French fries, potato chips and other processed or frozen potato products. The same trends were seen for tomatoes. Of the 66 pounds of tomatoes consumed by the average American, only 20 pounds were for fresh tomatoes. The other 46 pounds were processed in a number of ways, including canned tomatoes, tomato sauces (such as ketchup), or as ingredients in processed stews, soups and other items. Another nutrition expert suggested that consumers vary the “color” in their diet. Let’s cut to the chase here – what we are really talking about is ketchup and French fries. In reality, white potatoes are a starch with glycemic index of 90. That’s higher than most candy. In Matt Damon’s new movie “The Martian” he stays alive by growing potatoes for the carbohydrates. Beyond the carbs, potatoes have little nutritional value. Tomatoes are a fruit, not a vegetable. Raw tomatoes can have very high nutrient value when picked ripe. However, most tomatoes in the U.S. are picked green, then exposed to carbon dioxide to turn them red. That way they stay firm and don’t easily bruise. Sharon Zarabi is right about color variation. Please review my blog “Carotenoids” posted on September 3, 2014. The color of a vegetable can tell you a lot about its health value. I recommend five servings of vegetables per day. A serving is about 4 ounces, or a handful of food. Neither potatoes nor tomatoes count as a veggie. I also recommend two fruit servings per day. To finish it off, a protein serving for breakfast, lunch and dinner is also recommended. If you eat a big salad and lunch and dinner, with lots of color, just add another veggie at dinner and you’re good for the day. The fruits can be eaten as a snack between meals. Eating French fries and ketchup is not “better than nothing.” Nothing would be much better. Wisdom Wednesday: Treatment Before the Diagnosis? Wisdom Wednesday: A Simple Case of Sciatica?